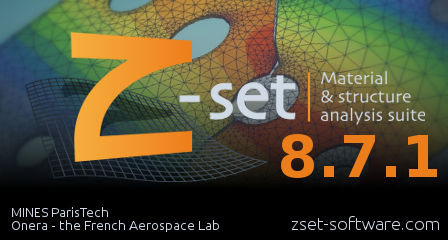 Z-set software version 8.7.1 is now available! The archives for Linux 64 bits and Windows 64 bits are available in the download section. The software has been substantially upgraded with new features and overall improved performance. The main new features consist in the enhancement of Z-cracks capabilities for simulating multicrack propagation including crack coalescence. Please review the Z8.7 Release Notes for a complete list of the new capabilities.